Are you an older driver wondering how much longer you should be behind the wheel? Or are you concerned that a loved one may no longer be safe out on the road? Then this week is a good time for you to explore the issues and see what makes sense, given that it’s Older Driver Safety Awareness Week. The American Occupational Therapy Association has put together a valuable toolkit of questions, conversations, and resources that can help you, and your loved ones, sort through the issues and determine what makes sense. Check out their website for in-depth info here. If you’re afraid to even talk about limiting or stopping your driving, you should know that there are lots of ways to adapt and enhance your safe driving techniques before you have to hand in the keys. Consumer Reports has a recent article with suggestions of how older drivers can stay safe on the roads. And there’s a new report out from The Hartford Financial Services and the MIT AgeLab for individuals and families to address driving practices and monitoring options once someone has a dementia diagnosis. 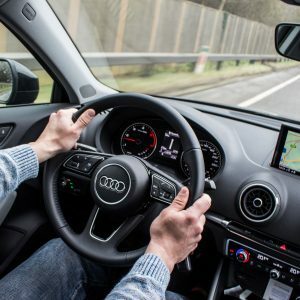 While the first priority is driver safety, there may be ways to adapt your car or driving techniques to compensate for physical or sensory limitations. For more resources about senior driving options and alternatives, roll down your window and take a look at these helpful resources on the agebuzz website.